Seishun 18 Kippu has become so popular that I may not need to show the details of this ticket. a. Seishun 18 is sold as a 5-day pass. b. Each day, its holder is entitled to enjoy one-day *1 unlimited travel on all JR lines *2 (non-reserved seat *3 on ordinary cars. 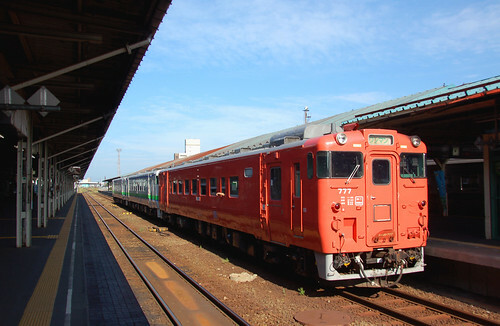 Local and rapid trains only *4) which network covers whole Japan. 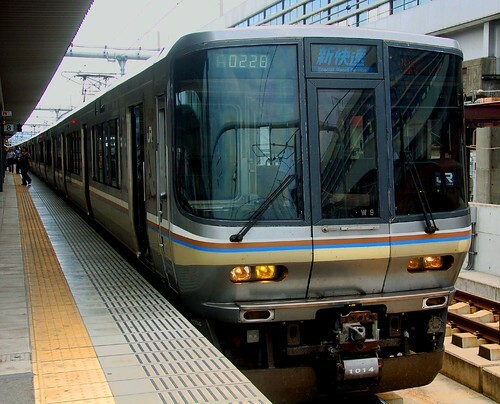 The holder can also use the Aoimori line on the condition that he/she travels between the designated segments as follows; Hachinohe and Aomori, Hachinohe and Noheji, Noheji and Aomori. i. ) a day trip by the holder on any 5 days during its valid period. ii. ) a consecutive 5-day trip by the holder. *1 "one-day" means between 0:00 (am) and 23:59 of one calendar day. Exception 1: If the ticket holder is on a midnight - train and it becomes midnight while on board, he / she is permitted to remain on board until the train stops at the first station the following day. Exception 2: In the Tokyo urban area and Osaka urban area, the definition of "one day" is extended until the completion of area's last train operation. *2 "all JR lines" means all the railway lines in the area of JR Hokkaido, JR East, JR Central, JR West, JR Shikoku, JR Kyushu, and Miyajima Route (Ferry operated by JR West). *3 Reserved seat on ordinary cars of local and rapid trains can be used if necessary. In this case, the ticket holder needs to make a reservation and pay required surcharges. *4 The ticket is invalid for Shinkansen, Limited Express, Express, Green car (1st class), sleeping car and JR buses. * The use of Limited Express with the ticket is strictly limited to above 2 sections (non-reserved seat on ordinary cars only), which means the user of Limited Express with the ticket is not permitted to board other sections on the same Limited Express train. The regulations are all the same as the Seishun 18 Kippu. It has three-day portions. It doesn't matter whether it's used consecutively or not. For further details, refer to the 18 Kippu's ones above. A nice article that brings back memories. I found this blog while searching the seishun 18 kippu info - thanks! Booking Buddy is the most popular travel booking search engine, where you can compare travel deals from the big travel booking websites.